Quick post because I should really be in bed right now…. 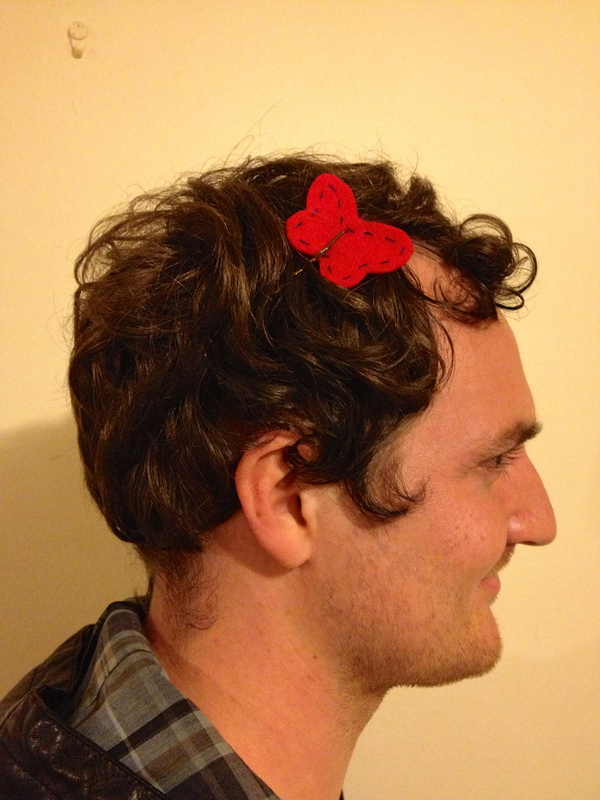 Tonight I crafted a butterfly hair clip. But he’s a good sport! gorgeous, even on a boy!